Exciting discovery trips through the woods... and a real jungle! 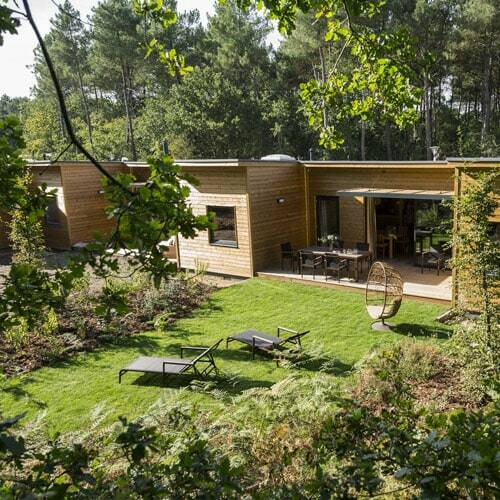 In the northern tip of Limburg, near Nijmegen, you'll find a wooded valley with an indoor jungle play paradise. Here you can step from one world into another as an adventurer! Accommodations for 2 to 12 people, in the woods or on the water. From Comfort, Premium and VIP cottages, to comfortable Hotel apartments and Eden VIP cottages with extra light and space. 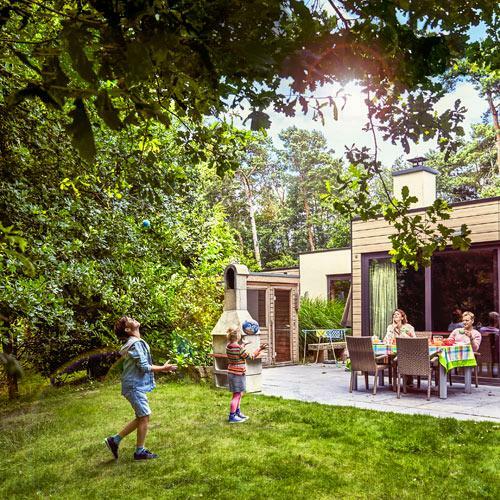 Or surprise your kids with a Jungle cabana or Children's cottage! 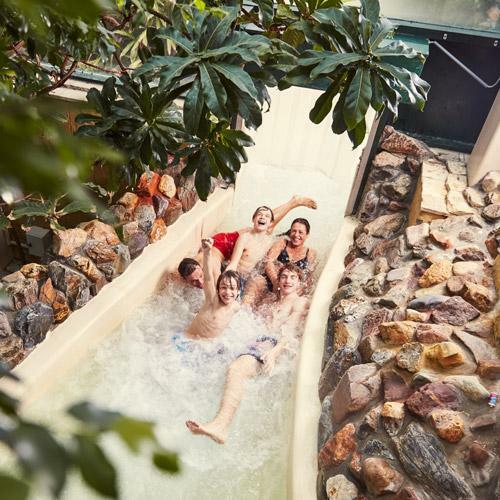 Play and discover the jungle in the suptropical Jungle Dome playword, escape from the Escape Room or thunder down the fastest wild water rapids of all. Still not tired? Get an adrenaline rush on the High Adventure trail through the trees or during an indoor Paintball battle. Welcome to our 6 restaurants under the palm trees: Italian, an endless buffet, fiery grills, pancakes, snacks and the Grand Café. Eating in your cottage? Come to the supermarket, order a pizza or have your breakfast or a Table Cooking package delivered!